A long time ago, when giants walked the earth, there was a rock and roll outfit called The Yardbirds. They hailed from England (London, in particular), as did most of the giants. They were Keith Relf, blond and good-looking, who sang and played harmonica; Paul Samwell-Smith bassist; Chris Dreja rhythm guitar; and Jim McCarty drummer. 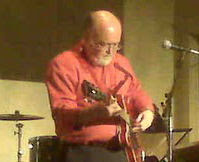 Their lead guitarist was named Tony “Top” Topham. Nobody paid much attention to these Yardbirds until Topham went back to school and was replaced by Eric Clapton. You will have heard the name. But the story is just beginning. Clapton didn’t like the ‘pop’ direction his band-mates were taking (he was a bluesman), so he left for bluer pastures and along came Jeff Beck. It was these Yardbirds I first spied on television blasting their way through “I’m a Man”. I had to own that record, and rushed out the very next day to buy the single. Seventy-seven cents for two songs. An extraordinary deal! But the story continues. A second lead guitarist was brought in, to complement Jeff’s other-worldly solos: Jimmy Page, session-man extraordinaire who had played on so many successful British recordings he can’t remember the number. Paul Samwell-Smith retired to a production career. Chris Dreja took up the bass. Jeff Beck felt crowded, and left. These Yardbirds recorded another ‘pop’ album and then Keith Relf decided to play folk music. Management tried to rebuild The New Yardbirds didn’t really happen, but Jimmy Page found a new gang: John Bonham on drums, John Paul Jones on bass and a blond and good-looking singer named Robert Plant. Led Zeppelin was born. And the world has never been the same. I well recall seeing the first Led Zeppelin album in the racks of a small independent record store. It seems to me they only had maybe 200 records in the whole shop. The store was across the road from my high school, and I stopped in every night on the way home to see what new goodies were on display. The black and white photo was subtle: a picture of the Hindenburg in flames. I was drawn to it, and reading the back noticed that Jimmy Page was the guitarist. “Jimmy Page! He was in the Yardbirds!” I thought. I bought it on the spot. Three dollars and twenty-one cents. All the money I had. It was 1969. I played it loud, and rejoiced in the sound. It left me “Dazed and Confused” and forced me to eventually hunt down the sources of this music. I began to listen to real blues. By the time Led Zeppelin 2 came out, I had become a purist. I was no longer interested in the high pitched moans, the drum solos, the excess. Reviewing Led Zeppelin 2 for Rolling Stone, John Mendelssohn mocked them unmercifully, “Who can deny,” he wrote, “that Jimmy Page is the absolute number-one heaviest white blues guitarist between 5’4” and 5’8” in the world.” I agreed with his sarcasm. Give me more Muddy Waters and Howlin’ Wolf. My younger brother could have Led Zeppelin. 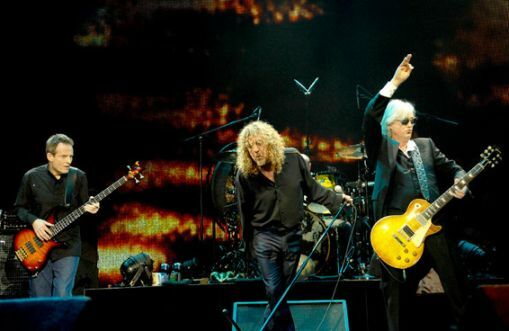 Then it was 2007 and Led Zeppelin performed a reunion concert at O2 Arena, London. John Bonham had died, John Paul Jones was playing sessions and producing. 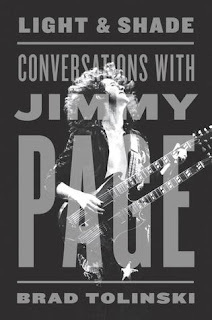 Jimmy Page had kept a fairly low profile releasing only one real solo album, forming a duet with David Coverdale, joining a band with Paul Rodgers called The Firm, and playing with The Black Crowes. In the mid-nineties, he had rejoined Robert Plant for a television broadcast and a duet album. Robert Plant had rejuvenated himself, reinvented himself several times. He had a real solo career, released enough albums that a 2-disc Best of release was not only possible, but well worth buying. In the midst of it all he learned how to control his big voice, and was singing better than he had in his whole life. He formed a duo with bluegrass songstress Alison Kraus and had a hit, won a Grammy, and was on the top of the charts again. The reunion concert was a one-shot for him. Replacing John Bonham was Bonham’s son Jason, a more controlled drummer but able to bring the thunder when needed. Twenty million people applied for 18,000 ticketsfor the band’s first headline show in 27 years. It was a tribute concert for Atlantic Records president Ahmet Ertegun who had passed away after falling down some stairs backstage at another concert. The O2 show was filmed, and released for a limited run in select theatres. The film is now available for the rest of the 20,000,000 fans, on DVD, Blu-ray, and CD. It’s entitled Celebration Day. I bought the whole kit and caboodle, 2-CDs, Blu-ray and a bonus DVD with rehearsal footage. Cost? Just under 40 bucks! How things have changed! And yet, I can’t contain my enthusiasm for this set. It’s extraordinary. And this is coming from someone who has for forty years proclaimed the prowess of Jeff Beck as having eclipsed Page (and Clapton) as the best guitarist The Yardbirds ever had. I simply didn’t like John Bonham’s drumming, I found it sloppy and overpowering. Plant’s voice? I thought it was prissy and screechy. Give me Keith Moon, and Roger Daltrey anytime I thought. Celebration Day though has caused me to reassess my opinions. There’s nothing new here – the set list is what you might imagine. All the big songs, “Good Times, Bad Times,” “Ramble On,” “”Dazed and Confused.” The guitar solo to “Stairway to Heaven” is played, for once, just like the record! “Kashmir,” “Whole Lotta Love” and “Rock and Roll.” Like I say, they’re all here, and thankfully, there’s no “Immigrant Song”! “Aaa-aaaaaaaa-aahhhh!” Plant’s voice doesn’t hit the high notes, but that isn’t a problem because he has learned to sing over the past forty years. Jason Bonham’s drums echo his father’s power with more subtlety. He looks thrilled to be part of the celebration, and his bandmates seem happy to have him there. John Paul Jones has a wide grin for much of the show, appearing comfortable in his place, and enjoying the walk down memory lane. In fact, the songs do not come across as antiques, and neither do the performers. They breathe new life into these classics, stripping away some of the excess that overburdened them for people like me. I had been reading a series of biographies of musicians lately, memoirs by Neil Young, Pete Townshend, Judy Collins, a biography of Mick Jagger, only broken up by Roddy Doyle’s hilarious new little book Two Pints. So after Celebration Day I had to pick up the new book by Brad Tolinski Light and Shade: Conversations with Jimmy Page. Tolinski is the editor in chief of Guitar World magazine, so I thought he might be able to keep Page focused on music. I was right. The book is a fascinating glimpse of the “[world’s] heaviest white blues guitar player between 5’4” and 5’8.” He talks about his tools, his life, his career, and even explains a bit about his fascination with Aleister Crowley’s magick. Unfortunately the interviews were a bit light to fill out a whole book, but Tolinski wisely chose supporting chats with Chris Dreja, Jack White and Paul Rodgers to add context and opinion. Where Tolinski fails is in choosing to include fashion designer John Varvatos’ opinions of Page’s influence on the clothing of rock and roll, and a final chapter on Jimmy Page’s astrology. He should’ve stuck to the music. The mud-shark makes a brief appearance, but in general Page comes across as a thoughtful musician as he explains the tools of his trade, how he chose amps, guitars, and effects. New issues of Uncut and Mojo also feature Led Zeppelin making the band unavoidable this season. 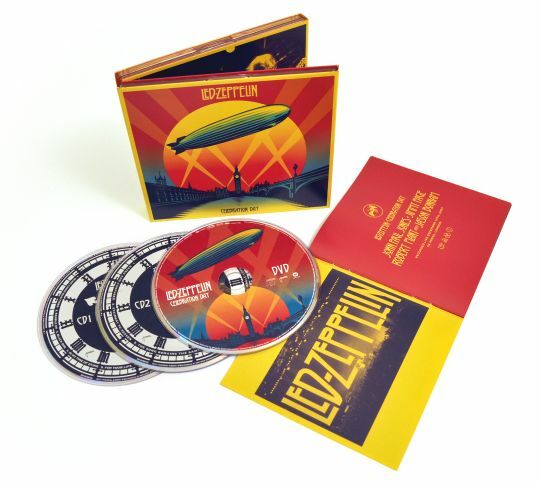 I’m certain that the Celebration Day package (in one form or another), and Light and Shade will have found their way under many a Christmas tree. If not, they’ll be available at Boxing Day sales as fans new and old seek to cash in their gift cards. I can hardly believe I’m writing these words, but I highly recommend adding one or both to your collections.